Wanda enjoys writing about the Amish because they live a peaceful, simple life─something she says we all need in this day and age. Using the knowledge her Amish friends have shared with her, Wanda has also produced several children’s titles in the Rachel Yoder─Always Trouble Somewhere series, an Amish cookbook, and a devotional collection entitled The Simpler Life, which was released in July 2008 and celebrates the virtues of the Amish lifestyle. Wanda and her husband are members of the fellowship of Christian Magicians. 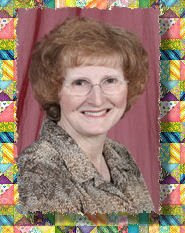 Wanda is also a member of the North American Association of ventriloquists, American Christian Fiction Writers, and the Northwest Christian Writers Association. She lives in Washington State, where her husband pastors, but takes every opportunity to visit Amish settlements across the country. Wayne Lambright who, crippled after a tragic accident, feels himself unworthy of her love; and Jake Beechy who, after having abandoned her to explore the English world, returns to renew their courtship. 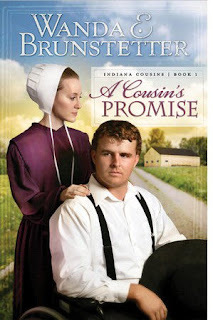 Willkumm to the lush and lavish Amish country where Wanda Brunstetter's new romantic series, Indiana Cousins, begins with A Cousin's Promise. Loraine Miller finds herself torn between the love of two good men. When a horrific accident cripples Wayne Lambright, he finds it difficult enough to take care of himself, much less Loraine Miller, his future bride. Will he sacrifice his happiness to give her a better life? Having already been jilted once, Loraine is terrified of yet another rejection. But does she love Wayne enough to marry him, for better or worse? When her old boyfriend Jake Beechy returns from exploring the English world, he hopes Loraine will give him another chance. How will God work to give Loraine the desires of her heart? To which man will she pledge her love and loyalty - for better or worse, until death they do part?